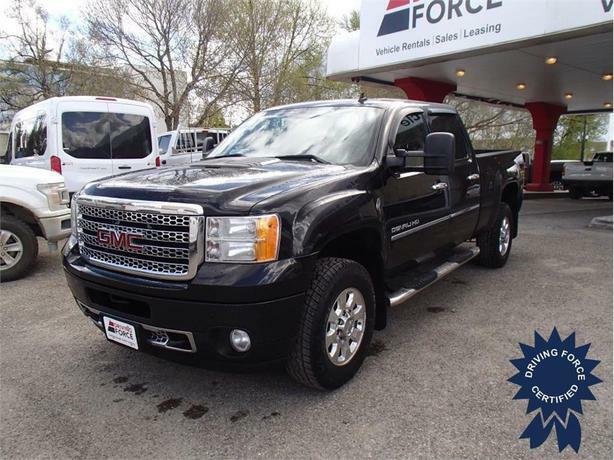 Drive in style on the roads with this Denali. It comes with a 6.5-foot box with sprayed-in bed liner, Allison six-speed automatic transmission, locking 3.73 rear differential, power/tilt-sliding sunroof and a 6.6-litre Duramax diesel engine delivering 397 horsepower and 765 lb-ft of torque. Additional features include rear seat entertainment package, navigation system, heated and cooled leather driver's seat with memory function, heated steering wheel, remote engine start and smart device integration. You have to see this vehicle in person, so come to our sales lot right away.